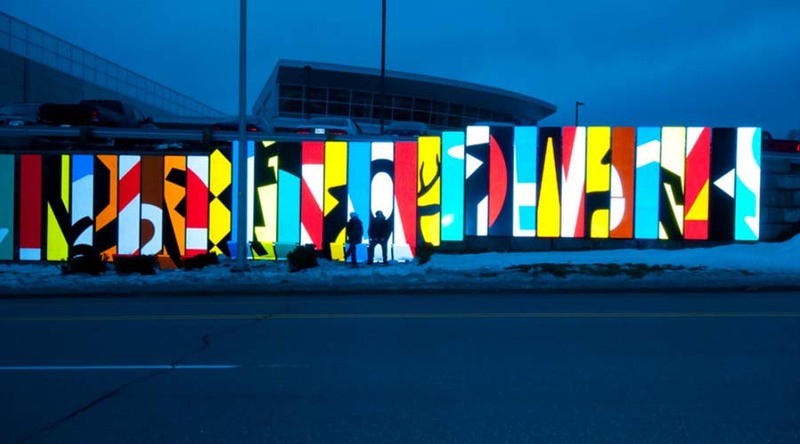 The Acre Collective, a Canadian art and design group led by architects Stephen Kopp and Monica Adair, won a National Public Art Competition for their installation In Transit adding pizazz to a bus terminal in St. John, New Brunswick. 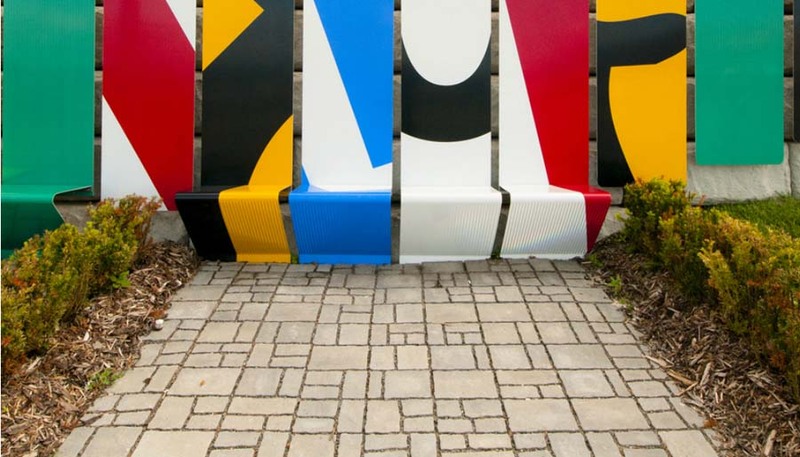 By cropping the recognizable symbols of transit signs and creating 85 unique aluminum panels, Acre added much-needed color to the long and bland concrete wall in front of the station. These panels were anchored to the concrete wall, resulting in a new landscape of semi-abstract color. 10 of the panels were sculpted into seats reminiscent of those found on buses in the simplicity of their form. Nice.